Sometimes, we go through tough financial times. You could have faced bankruptcy, had an emergency medical situation or been a part of the government shutdown. There are many reasons why we have financial issues. The fact is that American wages are stagnant, the cost of living and income inequality has increased. This leaves a lot of Americans with little to no access to credit to clean up their finances because about one-third of them have bad credit. How are you supposed to get out of a financial hole if you can’t borrow money? Would it be a relief to see personal loans no credit check required to help you get out of debt? Read on to find the top personal loans that don’t require a credit check to get access to funds. A personal loan can help you in a lot of different ways. You can use it for any purpose. You can finance a vacation to Dubai, consolidate debt for a lower interest rate, or get a quick influx of cash in an emergency situation. A car loan or mortgage work in a similar way in that you pay the principal and interest in monthly installments. The installment payments are a fixed amount for the term of the loan, whether that’s 30 days or 30 months. How Much Are Personal Loans? The amount of the monthly payments will depend on a couple of things. The first is the amount your borrowing from the lender. The second is the term of the loan. Some personal loans ask you to pay back the loan in as little as a month for small amounts. Larger personal loans need to be paid back in 12, 24, or 36 months. That may change depending on the lending institution you’re working with. If you’re taking out a $5,000 loan that needs to be paid back in 24 months, your monthly payments will be higher than if the terms were for 36 months. You can spread the payments out over a longer period of time. That will lower your monthly obligation, but you’re very likely to pay more in interest. Speaking of interest, the third determining factor in the monthly installment amount is the interest rate. The interest rate is determined by your credit score or your ability to pay back the loans. Does it seem like there should be some kind of catch to get a personal loan, no credit check required? There is a catch that you need to be aware of. Without a credit check, there’s no real way to verify your ability to pay back the loan. Banks aren’t inclined to give away money and get nothing in return for them. What they’ll do is charge a higher interest rate as a way to secure your loan. There are a number of differences between a standard loan and a loan without a credit check. 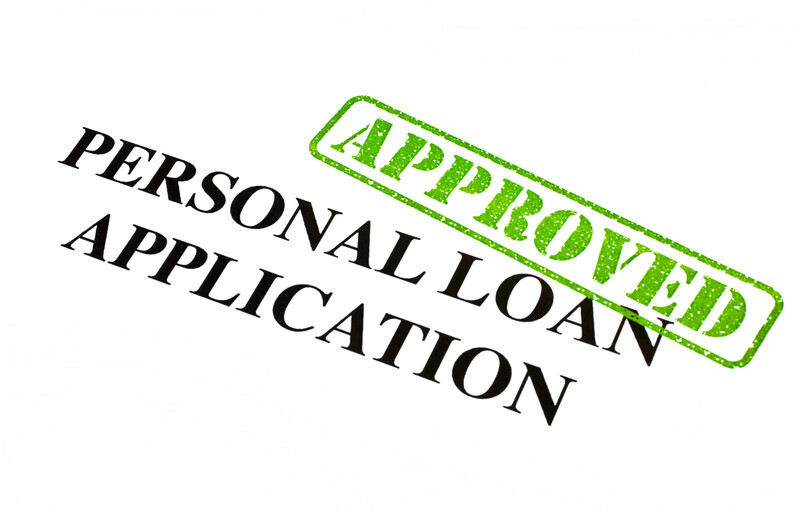 You can learn more about personal loans with no credit check here. It is possible to get a personal loan without a credit check. You should shop around and examine your options. These are some of the options you have available. The first place where you may look for a personal loan, no credit check. A payday loan is a short term loan, usually around $500 – $1000. They’re used by people who need cash to take care of basic expenses between paychecks. The idea is that you’ll pay back the loan in full when you get your next paycheck. The problem is that many people don’t pay back the loan on time and are hit with high-interest fees. Then they have to take out another payday loan to pay back the first one, which starts a vicious cycle of debt. LendingTree uses a soft credit check to initially determine what you can qualify for. The good thing about a soft credit check is that it doesn’t impact your credit in a negative way. You’ll get a number of options put in front of you and if you do decide to proceed, then they will do a hard credit check. Fig Loans is an alternative to payday loans. They work with nonprofit organizations to help get you the funding you need to pay for a financial emergency or build your credit. Their loans tend to be between $300 – $750 and with longer payment terms than payday loans. The best part is that they have much lower interest rates than payday loans. On the downside, Fig Loans is only available in a few states at the moment. Upstart does do a credit check on your personal loan. The reason why they made this list is that they take a number of other factors into consideration before making an offer. They’ll take your education, area of study, job history, years of credit and your credit score into consideration. That gives you a better shot a getting a much better interest rate. You can try them out and see what you’re eligible for. They’ll run a soft credit check and then let you know what the lending terms are. It can be tough to make ends meet in America today. There’s growing income inequality and the cost of living is increasing more than what we bring in. When you’re stuck in a financial situation, it helps you know that you can get access to personal loans no credit check. You do need to do your homework on your lender to make sure that you get a reputable loan at a fair interest rate and payment terms. After all, you don’t want to be stuck in debt forever. If you want more financial tips, read this article about protecting your finances in a downturn.